A chartered Libyan Airlines Airbus which arrived at the Murtala Muhammed International Airport in Lagos earlier this morning, returned another batch of Nigerians who came back to the country from Libya. 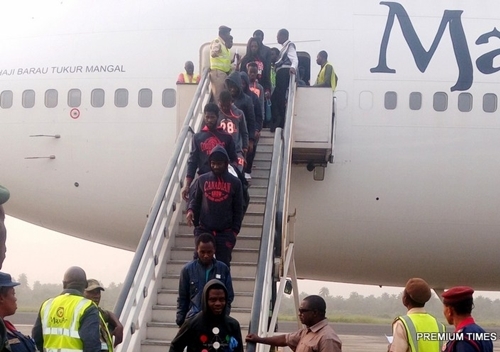 A batch of 218 Nigerians, which included seven pregnant women, on Tuesday voluntarily returned from the volatile North African country of Libya where they had been stranded enroute Europe. The returnees arrived at the Murtala Muhammed International Airport, Lagos about 3.44 a.m. aboard a chartered Libyan Airlines Airbus A330-200 aircraft with registration number 5A-LAU. The News Agency of Nigeria (NAN) reports that they comprised of 46 adult females, five female infants, 161 adult males, two male children and four male infants. The returnees were brought with the assistance of the International Organisation for Migration (IOM) and the European Union (EU). The South West Zonal Coordinator of the National Emergency Management Agency (NEMA), Yakubu Suleiman, said a total of 8,129 Nigerians had returned so far under the EU and IOM Assisted Voluntary Returnees Programme. Mr Suleiman advised the returnees to be champions of change in sensitising the youths against the urge of seeking greener pastures through irregular migration due to unforeseen dangers. He assured them that the federal government was pursuing socio-economic programmes aimed at giving employable opportunities to the youths. Speaking to journalists, one of the returnees, Titilayo Kayode-Owojori, from Ile Ife, Osun, regretted embarking on the ill-fated journey but thanked God for returning home safely. 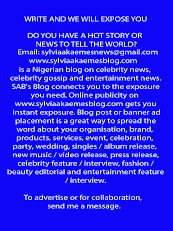 She said: “Nigeria is far better than where we thought we could get better lives. The Libyans live with the sweat of the blacks. The returnee, therefore, urged the government to fulfill its promise of creating an enabling environment for Nigerians to thrive in order to reduce the urge to seek greener pastures outside the country.